Read the paragraphs and insert commas where you think they are needed using your keypad. When you are finished, you can check the "Grammar's Version" to see how well you did. 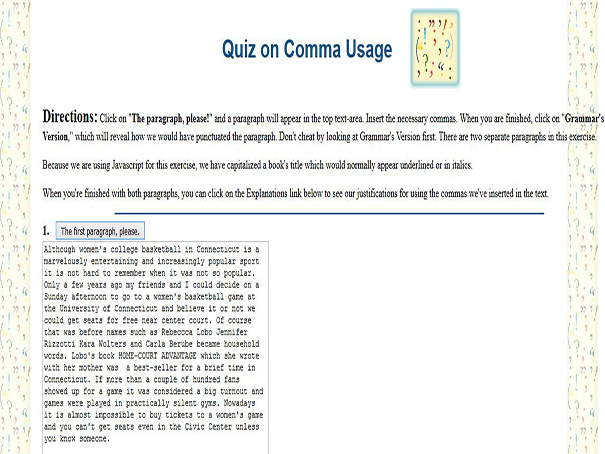 When you're finished with both paragraphs, you can click on the Explanations link below to see the reasons for using the commas in the text.